Within the church grounds lies evidence of 10th century high crosses and monastic carvings. There is also a 20-metre high round tower and an exhibition on site dedicated to the historic history of the early Christian evidence found in the town. Amenities: There is full wheelchair access to the visitor centre, refreshments and toilet facilities. Opening hours and costs: Entry is FREE and the site is open Monday-Thursday from 9am-5.30pm, Friday 9am-4.30pm. 2. Curragh of Kildare The Curragh was formed by nature and has a rich archaeological landscape for visitors to enjoy. The Curragh became highly associated with St Brigid in the fifth century and was locally named as St Brigid’s pastures. It is host to many bird species and a very popular walking destination. Amenities: There is no wheelchair access or facilities on site. Opening hours and costs: The Curragh is FREE to access and open daily. This Palladian style house was built between 1722 and 1729 for the wealthy public speaker William Connolly. Visitors can take a guided tour of the house and explore the grounds that contain river walks, a temple and a wildlife nesting in the woods. Amenities: There is a café on site and toilet facilities. There is no wheelchair access to the first or second floor of the house. Opening hours and costs: The grounds are FREE to access but entry to the house costs €8 per adult, €5 senior, €3.50 student/child over 12 years, family €15. Guided tours take place at 11am, 1pm and 3pm and cost extra. The site is open from 10am-6pm daily. This cathedral first built by the Bishop of Kildare in 1223 marks the original site of the church of St Brigid. Within the cathedral is a 16th century vault, early Christian and Norman carvings as well as a high cross. Visitors can also explore a 12th century round tower that stands at 33 metres tall. Amenities: There is wheelchair access to the cathedral only. Opening hours and costs: The site is open Monday-Saturday from 10am-5pm and Sunday 2-5pm. There is a €2 entry fee. This monastic site was founded by St Bríga (or, again, our friend Brigid) in the sixth century and was destroyed by Vikings in the 10th century. Today it is the resting place of Arthur Guinness, founder of the Guinness brewery and the site is a national monument. Amenities: There is limited wheelchair access. Opening hours and costs: The site is open daily and FREE to visit. Thanks to Kildare County Council heritage officer Bridget Loughlin for her recommendations. TOMORROW: Top 5 must-sees in Kilkenny and Laois. Email “Your summer in Ireland: 5 must-see sites in Kildare”. 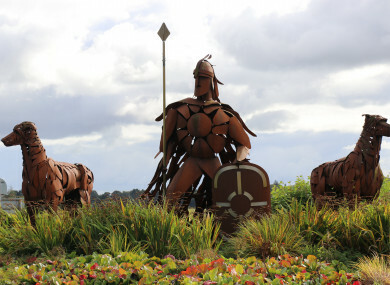 Feedback on “Your summer in Ireland: 5 must-see sites in Kildare”.